Comics Experience Blog: CE Alum Jody LeHeup Joins Valiant Entertainment! CE Alum Jody LeHeup Joins Valiant Entertainment! 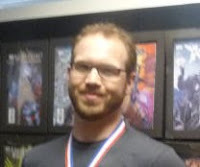 Comics Experience alum Jody LeHeup was recently named to the position of Associate Editor at Valiant Entertainment. 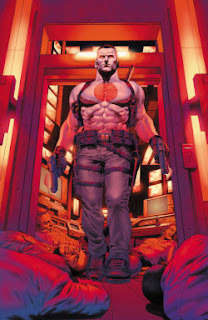 In his new role, Jody will contribute to Valiant's relaunched line, which includes X-O Manowar, Harbinger, Bloodshot, and Archer & Armstrong. LeHeup joins Assistant Editor Josh Johns and Executive Editor Warren Simons on the Valiant editorial staff. "Valiant is already off to a roaring start and I'm thrilled to be joining such a talented team," said LeHeup. Jody previously spent four years as a Marvel editor where he managed many bestselling and critically lauded titles during his tenure, including Uncanny X-Force, Age of Apocalypse, Deadpool, and X-Factor. His work on the acclaimed anthology Strange Tales garnered him a Harvey Award nomination in 2011. "When we began our search for a new Associate Editor, Jody's name was at the top of my list," said Simons. "I had the opportunity to share an office with Jody at Marvel, and I saw firsthand how dedicated he was to creating amazing, innovative stories. He has a tremendous love for our medium, and I know he'll be an exceptional addition to our hardworking team at Valiant." and controls some of the most cherished comic characters ever created across all media worldwide. Since their creation in 1989, Valiant characters have sold 80 million comic books and have been the basis of a number of successful video game franchises. We want to congratulate Jody on his new position!